Why Does Mold Need To Be Remediated? Remediation is the process of cleaning the mold and eliminating the moisture problem. 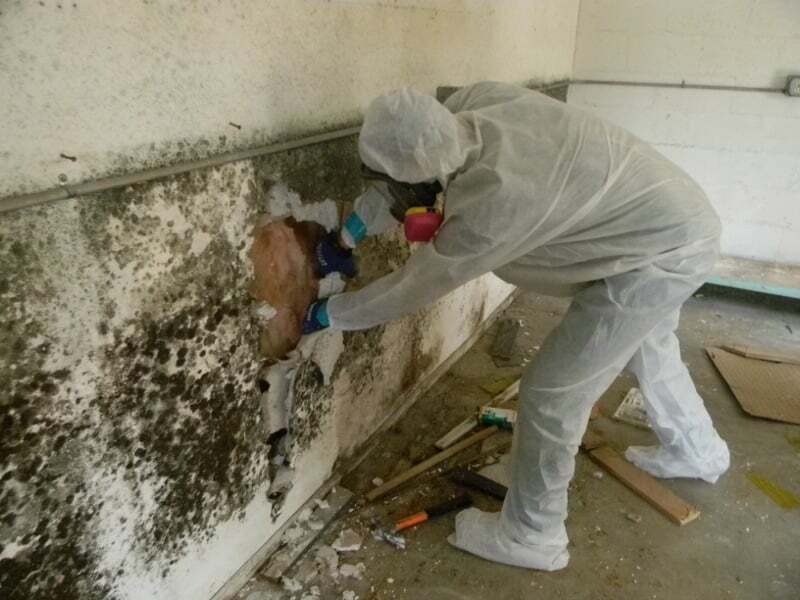 This process is determined by the size of the remediation and whether occupants are experiencing any adverse symptoms that may be related to the mold. Since mold, destroys the surface materials it is on, remediation can preserve the structural integrity of the building. Failure to address a mold problem, ultimately can result in high replacement and rebuild costs. Where is Mold Commonly Located? The top of ceiling tiles, and the underside of carpets and pads etc. Porous thermal or acoustic liners inside ductwork, or roof materials above ceiling tiles (due to rook leaks or insufficient insulation). Materials such as dry wall with vinyl wallpaper over it or wood paneling can act as vapor barriers which trap moisture underneath and provide a moist environment for mold.